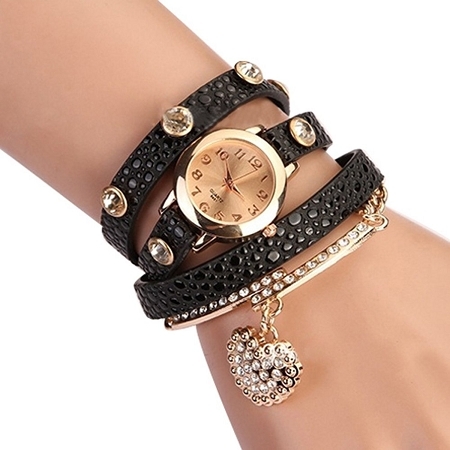 Case Material: Metal Band Material: Faux Leather Case Size(approx. ): 2.6cm/1.02'' (dia) x 0.7cm/0.27''(Thickness) Band Size(approx. 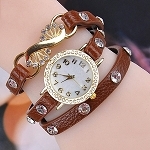 ): 57cm/22.44'' (L, case included) x 0.9cm/0.35'' (W) This rhinestone litchi style faux leather belt wrap bracelet wrist watch is designed with heart-shaped pendant, which is a fantastic present for women.